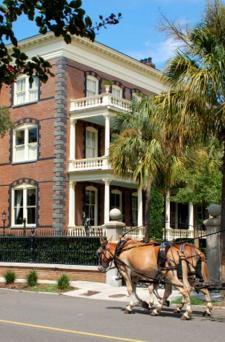 There are a number of historic Charleston travel ideas appropriate for visitors of all ages. This beautiful city, originally founded in 1670, is full of culture, charm and elegance. 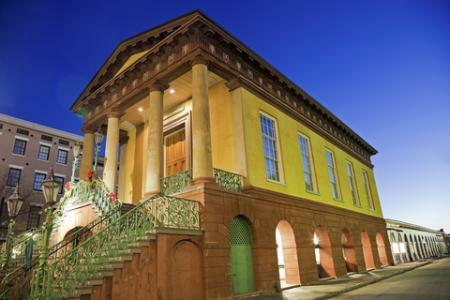 Charleston has a rich history you are sure to find interesting and entertaining. 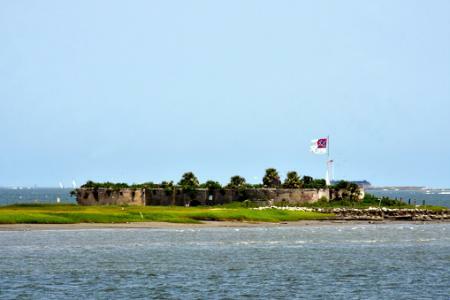 Fort Moultrie: The site of the first American naval victory of the Revolutionary War in 1776. Now run by the National Park Service (NPS), it is part of a ring of four forts located around Charleston Harbor. Fort Sumter: Also part of the NPS, it was where the Civil War began. In 1861, Confederate artillery opened fire here on Federal troops. You can take tours of Fort Sumter, visit the National Monument and view exhibits at the Visitor Education Center at Liberty Square. The Edmondston-Alston House: It was built in 1825, and is located in the High Battery neighborhood full of historic homes. It also has a panoramic view of Charleston Harbor. The house was where General Beauregard watched the Confederate bombardment of Fort Sumter in 1861. Take a candlelight tour to really get a feel for this magnificent home. 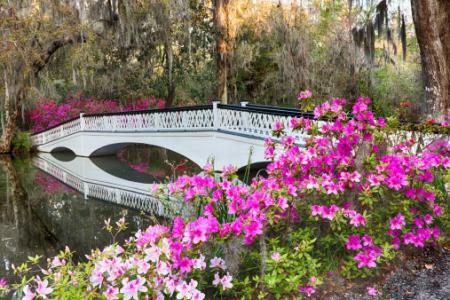 Magnolia Plantation: This gorgeous site was built in the 1600s and is the oldest garden in the United States. This pre-revolutionary War plantation has an antebellum cabin, nature train and a wildlife observation tower. It is also home to a Biblical garden and a gift shop. Old City Market: Built in 1841, it has shops, a flea market and restaurants. Be sure and look for ladies hand weaving traditional sweetgrass baskets. Planters Inn: This historic inn was built in 1844. It features four-poster beds, 10-foot ceilings and marble tubs. The elegant inn overlooks City Market and is one block from King Street and the Antiques District. Guests can enjoy the courtyard with a reflecting pool or have tea and apples in the parlor. John Rutledge Inn: It was the home of John Rutledge, who signed the Constitution. The inn was built in 1761 and George Washington was once a visitor. Now a boutique hotel with 19 rooms, it combines the old with the new. Guests can enjoy carved Italian marble fireplaces, antiques in the rooms and wireless Internet. Prices include breakfast and afternoon tea. Governor's House Inn: It is a National Historic Landmark and former governor's mansion. Built in 1775, this luxury B&B features 11 rooms and suites, each decorated with antiques. Breakfast, afternoon tea and a wine and cheese reception are included in the cost. Governor's House is located in Charleston's Historic District. Plan your trip in April or May. You'll enjoy the spring weather and miss the crowds and humidity which are part of the summer season. Carriage rides are a great way to get the historic feel of the city. By traveling the old-fashioned way, you can relax and enjoy the sites without worrying about traffic. Charleston's visitor centers are full of information and ideas. They are well worth a quick stop. The Charleston Convention and Visitors Bureau has a wealth of information on lodging, attractions and discounts. 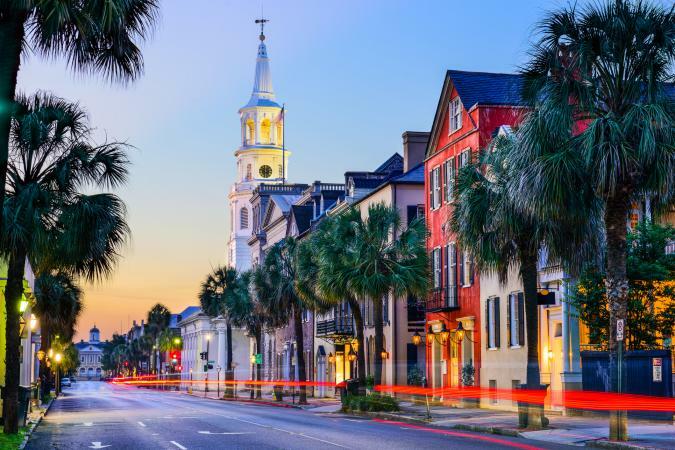 Charleston is a unique city with a long history. You will enjoy its charm, hospitality and beauty.